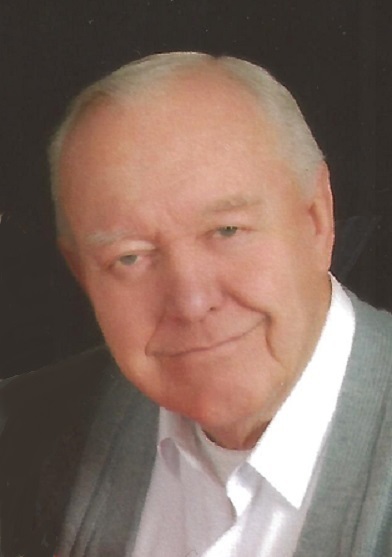 Roy Edwin Thompson of Mahtomedi, MN passed away peacefully on Wednesday September 12, 2018. He was 86 years old. He was born on August 30, 1932 in Eau Claire, WI, and graduated Eau Claire Memorial High School in 1950. He enlisted in the United States Navy in 1951 serving in multiple roles with his flight squadron (VF22) and as a seaman aboard the aircraft carrier U.S.S Antietam (CVA-36). Following his distinguished service, he married Elizabeth Ann Horne in 1959, and together they had three children. Roy graduated from the University of Wisconsin at Platteville in 1961 with a degree in Civil Engineering. Roy served as a City Engineer in Oshkosh, WI and later accepted a position with the City of Shoreview, MN as City Engineer in 1966, followed by a move to be an Engineer in the Physical Plant at the University of Minnesota in 1968 until his retirement in 1990. Roy’s long years of dedicated work at the University was remarkable, as he served his role alongside his close childhood friend Marvin Severson. As Roy’s kids and grandchildren know, a lot of life’s lessons were learned - the most important of which was the power of please, thank you and I’m sorry. Roy had an answer for everything and if he didn’t the next time he saw you he’d come back with an answer and documents to support it. Roy taught the importance of God, charity, and family. Roy was an avid golfer, loved to fish and was a true-blue Green Bay Packers fan. Roy’s passion for improving himself and those around him extended into his active roles in civic and religious organizations. He served as District Governor of Lions International (5M6), as trustee of the Lions Sight and Hearing Foundation, Seeing Eye Dog Program, recipient of the Melvin Jones Award, District Commander at his VFW Post in Minneapolis. Roy was a Boy Scout leader, a member of the Jaycees, Men’s Church Club, served Meals on Wheels and was active with the Seniors Center in Mahtomedi, sign language interpreter at American Naturalization swearing in ceremonies and other events and spoke numerous times at the Mahtomedi schools. Roy was one of the founders of the Oshkosh Fly In. 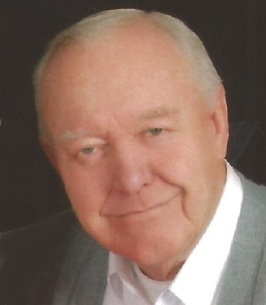 Roy was also a regular parishioner, volunteer, and trustee of both Lake Drive and Silver Lake United Methodist Churches and member of the First Presbyterian Church in Stillwater. It is difficult to sum up the life of a man who had done so much and whose biography would read more like a work of fiction. You could sit and listen to him for hours and never be bored and anyone who knew him would agree he never ran out of a stories. We will all miss his trademark grin, and his ability to reach people via a simple joke, or gentle reference. Roy was a man who willingly stood fast as a loyal friend, husband, father and grandfather. He actively sought the best for his family and friends, viewed the world with enlightened concern, and connected to it with kindness, love, humility, and integrity. Roy was preceded in death by his wife Elizabeth “Betty”; parents, Bert and Louise; brother Henry. Survived by children Maureen (Casey), Suzanne (Bruce) Rivers, and David (Lisa); grandchildren Elizabeth (Michael), Zachary, Michael and Jacqueline, great-grandchildren Korinn, William, Ethan, Zachary Jr., Amelia, and many other family and friends. Past District Governor Lions International. Memorial service 11 AM Saturday, September 22, 2018 at FIRST PRESBYTERIAN CHURCH, 6201 Osgood Avenue N., Stillwater. Visitation 1 hour before service. Private interment Fort Snelling. In lieu of flowers memorials preferred to Lions Hearing Foundation http://www.5mhf.org/. To send flowers to the family of Roy Edwin Thompson, please visit our Heartfelt Sympathies Store. I am so sorry for your loss. Roy was a great man. Glad he went peacefully. My prayers are with you and your family. Sue, Our thoughts are with you and your family at this time of loss. It was so nice to hear that your dad passed peacefully with a smile on his face. Gives assurance that the time was right for him.